If you are stressed because you don’t know how to cook and living away from your parents and siblings. You didn’t know what to cook for yourself and friends because you had never lived away from home before. Many college students feel this way. College life is busy. College food has developed quite the culinary “reputation.” While the dining hall or fast-food takeout can be convenient, these shortcuts can take a toll on your maxed-out bank account or credit card, not to mention your waistline. Most students don’t have the time, money, or space to make meals like mom used to, so words like fast, cheap, easy and microwavable have become synonymous with college eating. There are many cookbooks written especially for college students and newbie cooks. But not all of them are created equal. If you try websites or apps that contain hundreds of recipes, many of which do not meet college student criteria. Who says it has to cost more to eat well in college? What you need is some cheap, healthy, easy, fast, and delicious recipes. But there is a better way! 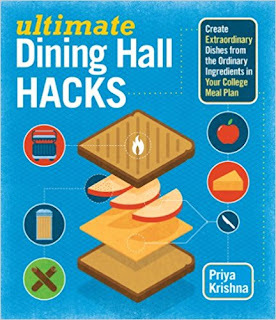 Continue reading and easily find a solution from the best college cookbook list that can help solve your problem. 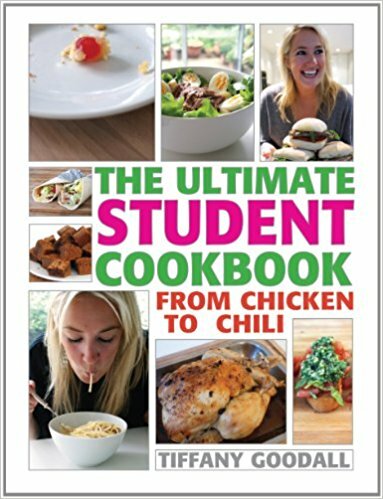 What Are the Best College Student Cookbooks? As a working mom and nutritionist, Toby Amidor knows how difficult it can be to carve out the time for healthy home cooking. Applying her 15 years of experience as a nutritionist, blogger, and recipe developer here in The Healthy Meal Prep Cookbook, Toby shares her tricks and tips to efficient and enjoyable meal preparation. It’s easy to reach for frozen and microwavable meals when you’re short on time, but being too busy shouldn’t mean that you can’t have balanced and delicious meals. Learning how to meal prep properly will not only save you time and energy, but it will also help to make sure that you eat homemade and nutritious meals. 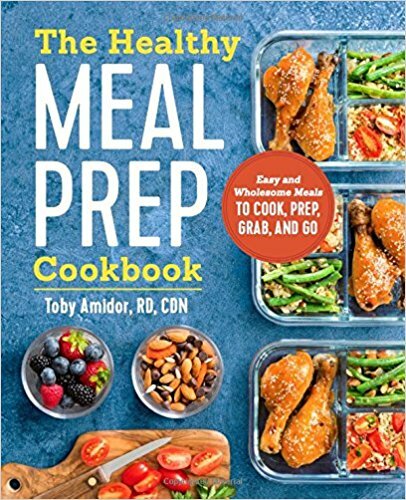 Providing practical and simple solutions with easy to follow instructions, The Healthy Meal Prep Cookbook shows you how simple it is to enjoy fresh and flavorful meals on even the most hectic days. Transform your dining hall meals into gourmet feasts! 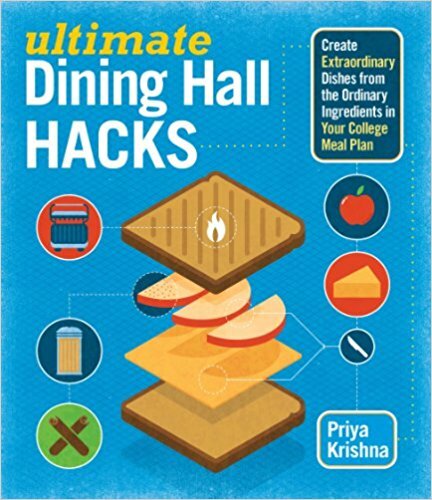 Ultimate Dining Hall Hacks offers 75 amazing and creative recipe ideas that use items readily available in your college dining hall. Enjoy creamy eggs carbonara or a mango parfait for breakfast, dine on tzatziki chicken salad or lemon-pepper pasta any night of the week, and create custom desserts like peach cobbler and chocolate bread pudding. Discover a wide variety of inventively delectable options as you make the most of your college meal plan. 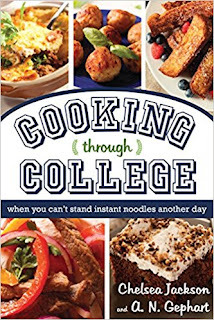 I think this book might help see a new student through a few years of cafeteria food, it might also teach them how to be a little creative and, dare I say, resourceful in the dorm, frat or sorority kitchen once they’re on their own. College students are eating out less and, more and more often, their food decisions are being driven by two main things: budget and health. EatingWell marries these two trends in the new cookbook EatingWell on a Budget. It shows you how to make nutritious dinners that everyone will love and get them on the table quickly without spending more?in most instances?than $3 a person. The book cost out the ingredients, tell readers how to get the most nutrition bang for their buck, and even show them where to splurge and where to save. 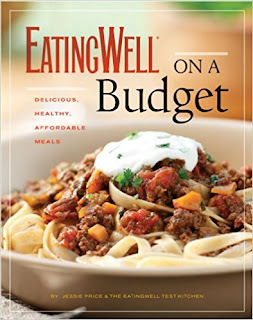 The editors of EatingWell don’t believe in sacrificing taste, so the recipes in this book include foods like steak and shrimp but, because it was used judiciously, they are still affordable. 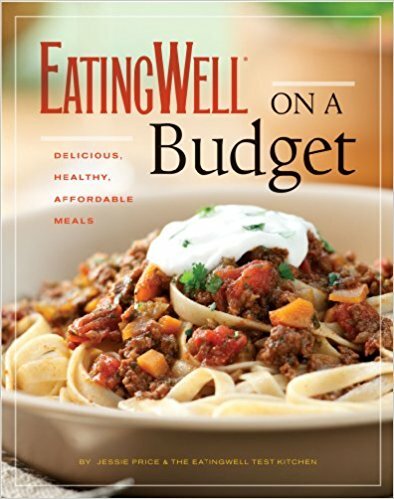 An introductory section includes the basics of healthy cooking on a budget and offer lots of tips and advice on menu planning, stocking your pantry, and nutrition basics. There are also great suggestions for how you can save and reuse left-over, preserve foods, and use one ingredient in multiple fresh new recipes with 75+ color photographs. In over 200 recipes, Jessica Fisher shows time-pressed cooks how they can eat remarkably well without breaking the bank. Good Cheap Eats serves up 65 two-course dinners, consisting of a main dish and a substantial side, salad, or soup, all of which take 30 minutes or less to prepare. Jessica's two-course pairings are artfully conceived and perfectly complementary. And as a mother of six and a busy parent, she shows home cooks how to get dinner on the table quickly and inexpensively without relying on heavily processed shortcuts or artificial ingredients. Great for time-pressed students, families with picky eaters, or singles that need a quick solution to dinner tonight. 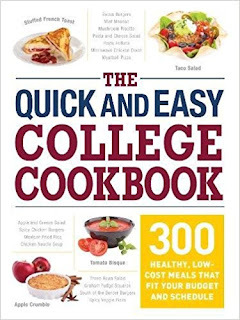 “The Quick and Easy College Cookbook” will help you create delicious and healthy recipes in a flash! With low-cost ingredients that still have high nutritional value, you're sure to love cooking up these recipes? The best part? No experience or fully equipped kitchen required! You'll find 300 recipes that range from hearty breakfasts to healthy study-session snacks to fuel an all-nighter. Even first-time cooks will succeed, with the help of a glossary of cooking terms and checklists of essential kitchen equipment and pantry staples. This cookbook is should be required reading for any college student who likes healthy home cooking. Remember that you have the power to save animals-every time you eat. PETA can show you how. Ideal for students, but just as valuable for health-, time- and budget-conscious grown-ups, Raymond's updated cookbook offers 142 quick and easy recipes for all kinds of vegetarian delights, including breakfasts, salads, sandwiches, pastas and stir fries. The recipes draw on various cuisines. With the knowledge of a nutritionist and the warmth of a mom, Raymond urges her readers to embrace meatless cooking for its ease, its economy and its benefits for both people and the environment. 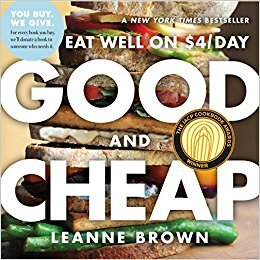 For those new to vegetarianism, she covers techniques for smart shopping and kitchen tricks; for the truly harried, her 10 "No-Time-to-Cook" recipes prove that a decent and healthy meal can be whipped up sooner than you can say "Pizza to go." Raymond also offers vegetarian recipes, drinks and desserts. With readily available ingredients, prep times that never exceed 20 minutes (and that are often in the single digits) and directions that rarely call for any appliance more complicated than a blender, this volume should be required reading for any student vegetarian. 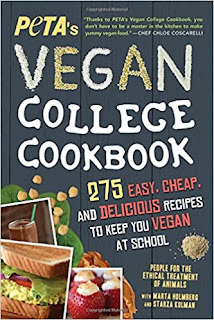 With vegetarian eating on the rise and with more young adults adopting this lifestyle, Student's Vegetarian Cookbook provides the means for developing healthy, low-fat meals that are quick, easy, and inexpensive to prepare. This cookbook includes a wealth of new and updated recipes, new health information including food source charts, and a new section of resources. 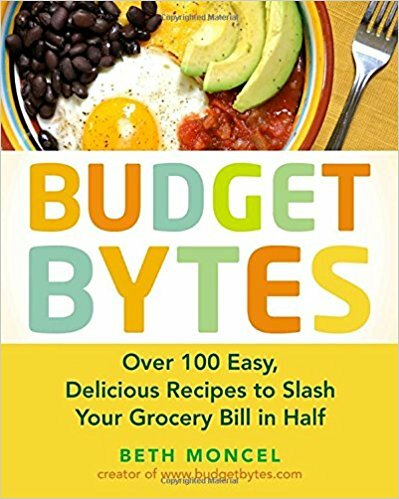 This book also include savvy tips for grocery shopping and how to choose produce, simple cooking techniques (and new pointers), and a chapter on shortcut recipes. 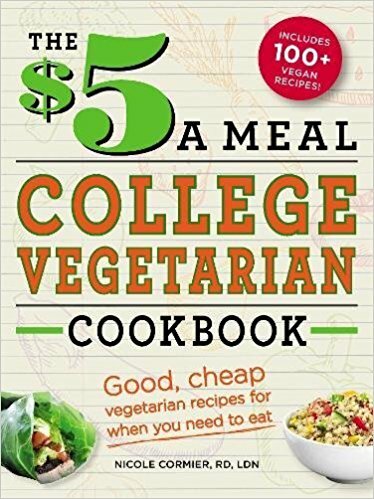 The $5 a Meal College Vegetarian Cookbook makes it easy to create satisfying vegetarian dishes you'll actually want to eat. Featuring simple instructions and more than 300 tasty recipes, this book provides you with a variety of meat-free meals that will keep you full throughout the day. Best of all, each dish will only cost you no more than $5, so you'll never have to worry about breaking the bank when you create soon-to-be favorites. 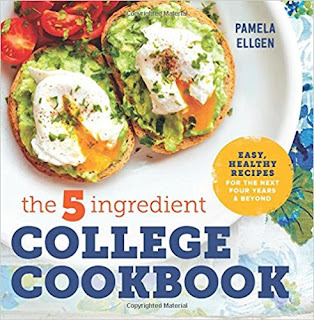 With The 5-Ingredient College Cookbook, you can cook simple, delicious meals on the tightest of budgets and in the smallest of spaces. 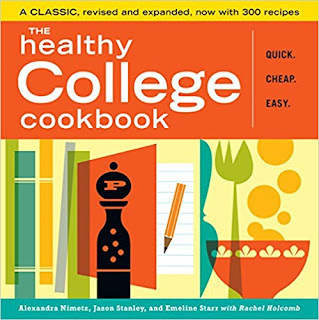 By sticking to 5 easy-to-find main ingredients per recipe, The 5-Ingredient College Cookbook makes it easier than ever for students to cook tasty, high quality, healthy food for themselves. Don’t head to the cafeteria for overpriced soggy waffles or “controversial” mystery meat. With just 5 ingredients and 30 minutes you can enjoy any one of the delicious, college student favorites in this college cookbook. Tired of late-night popcorn stomach aches and greasy Chinese take-out stains on your bargain duvet? Stop wasting your money on cheap junk food and start investing it in delicious meals that won't break your budget or disappoint your taste buds. Perfect for college students of all ages, these quick-and-easy recipes will satisfy your cravings in no time at all. At first glance, you might not think that this belongs in a "healthy cookbook" list. Written by a chef who lived away from home on a limited budget while she was a culinary arts student, “The Ultimate Student Cookbook “enables college and university students to enjoy fresh and healthy food every day. More than 100 easy recipes for terrific food on a student's budget. The recipes included use real-food, economical ingredients that any college student could find and afford, making it easy to cooking your apartment, a dorm or frat house and sorority house. It's got tons of super-simple how-to photos and dialogue "balloons" for every dish so even the most novice cook can follow along and not be intimidated. When students learn how easy and cheap it is to cook good food at any kitchen that translates into better health for them and less money for fast-food joints. If the pizza-delivery guy is in your apartment more often than your roommate, The Healthy College Cookbook is exactly what you need. Whether you’re a meat lover, vegetarian, or vegan, you’ll find simple and adaptable recipes for quick breakfasts, portable snacks, fresh lunches, and satisfying dinners. Busy students will love these tasty, nutritious recipes. The debut cookbook from the Saveur blog award-winning Internet expert on making eating cheap dependably delicious. 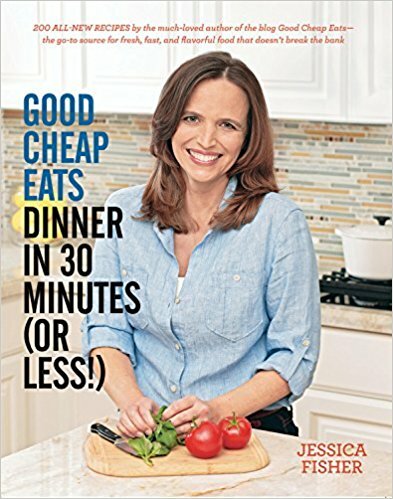 Quick and delicious recipes, easy-to-follow instruction, and priceless cost-cutting tips from the queen of eating well on a dime. A great easy cookbook for students and beginner cooks. As a college grad during the recent great recession, Beth Moncel found herself, like so many others, broke. Unwilling to sacrifice eating healthy and well—and armed with a degree in nutritional science—Beth began tracking her costs with obsessive precision, and soon cut her grocery bill in half. Eager to share her tips and recipes, she launched her blog, Budget Bytes. Beth's cookbook proves cutting back on cost does not mean cutting back on taste. Budget Bytes has more than 100 simple, healthy, and delicious recipes. It also contains expert principles for saving in the kitchen—including how to combine inexpensive ingredients with expensive to ensure that you can still have that steak you’re craving, and information to help anyone get acquainted with his or her kitchen and get maximum use out of the freezer. Whether you’re urban or rural, vegan or paleo, Budget Bytes is guaranteed to delight both the palate and your wallet. Created for people who have to watch every dollar—but particularly those living on the U.S. food stamp allotment of $4.00 a day—Good and Cheap is a cookbook filled with delicious, healthful recipes backed by ideas that will make everyone who uses it a better cook. The cookbook has more than 100 recipes maximize every ingredient and teach economical cooking methods. There are recipes for breakfasts, soups and salads, lunches, snacks, big batch meals—and even tasty desserts. Plus there are tips on shopping smartly and the minimal equipment needed to cook successfully. What Are The Criteria for Selecting and Ranking The College Cookbooks? 1) The “best college cookbooks” were rated by sampling and testing the recipes (snacks/dessert, breakfast, lunch and dinner recipes). 2) My friend, a data science enthusiast helped me with organizing the list. He conducted a meta-analysis of big data from Google search results and book reviews from Amazon.com, Goodreads and EatYourBooks. 4) Fakespot.com was used to analyze and identify fake reviews eliminating paid positive and negative book reviews (negative campaigning). To make you cook handy and faster. I think you need the right equipment like an electric pressure cooker. Read this now… The Complete Electric Pressure Cooker Buying Guide: How to Choose the Right Pressure Cooker?